Contractor liability insurance Naperville is necessary to minimize the risk of contractors in Naperville. Contractors make big money through different construction projects that they won in biddings or they get hired through referrals. However, one of the risks that they have to face is an accident that may occur at the construction site if they have not purchased a contractor liability insurance Naperville. Job-related accidents are inevitable, even if your workers are wearing their safety gadgets. Common accidents on the job site include falls from scaffolding and tall buildings, electrocutions, slip, falling debris, explosions, fire, machinery fault, trench collapses, heatstroke and overexertion of workers. It encompasses liability to workers that are not covered by other insurance policies. Whether you are a contractor or homeowner, you are protected from litigation cost if your worker is injured at the construction site or during a home renovation. It pays the cost of medicines for injured workers. It is a requirement to compete for a job because you are capable of paying the reparation when your worker is injured. Contractor liability insurance Naperville is very important to secure your project. Contract workers whom you hired may fall off from the scaffolding while fixing your home. It is a big problem on your part when the worker will charge you of negligence that resulted in economic loss and medical expenses. Make sure that before hiring a worker to do the home renovation, you have purchased a contractor liability insurance Naperville to get you protected from lawsuits. It will be too costly on your part to shoulder the medical costs without an insurance policy. Once you have signed up your policy, you are secured from liabilities when the mason is injured. We will help you assess the coverage that you need for your bodily injury or property loss. We are offering you a lower insurance rate that suits your budget. What are you waiting for? 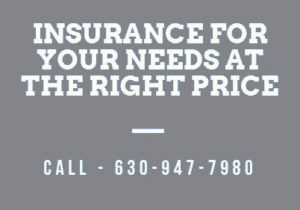 Get a free Contractor Liability Insurance quote in Naperville by calling (630) 947-7980!